Brings instant fun and excitement to your everyday life. 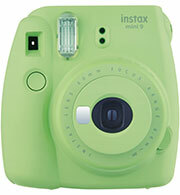 The Fujifilm Instax Mini 9 Instant Film Camera is simple to use and produces instant credit card size photos. 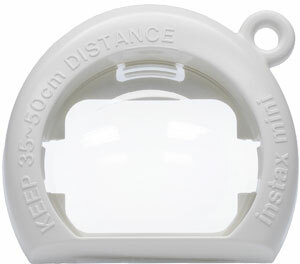 Simply press the button, adjust the dial, and shoot to obtain pictures instantly. It automatically determines the best brightness for taking a picture, and informs you of the suitable setting by lighting the corresponding lamp. Turn the brightness adjustment dial to the position (mark) of the lit lamp. 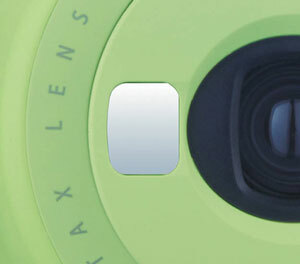 Setting the brightness adjustment dial to the high-key mode mark allows you to take pictures with a softer impression. Take beautiful selfies thanks to the new selfie mirror! Use the macro lens attachment to get up close and personal. 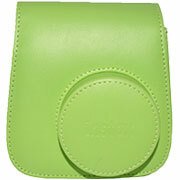 The Fujifilm Groovy Camera Case is designed to fit Instax Mini 9 cameras. 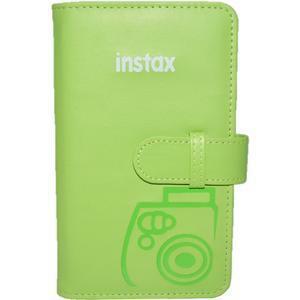 A fun and fashionable way to give your Instax more personality, this case is constructed of polyurethane leather for a sleek exterior while protecting your camera from bumps, scratches and dust. 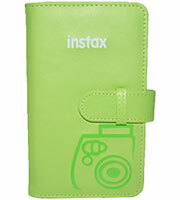 The two-piece design lets you shoot while the case is still on. It also includes an adjustable shoulder strap for comfort and convenience. 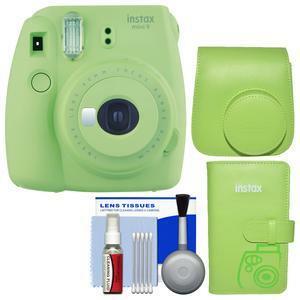 Keep your instax pictures organized and viewable. 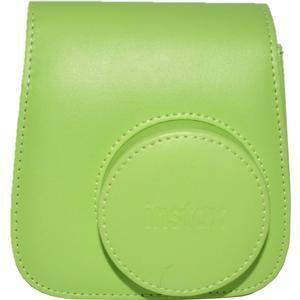 The Fujifilm Instax Mini Wallet 108 Photo Album is perfect to hold your instax pictures. 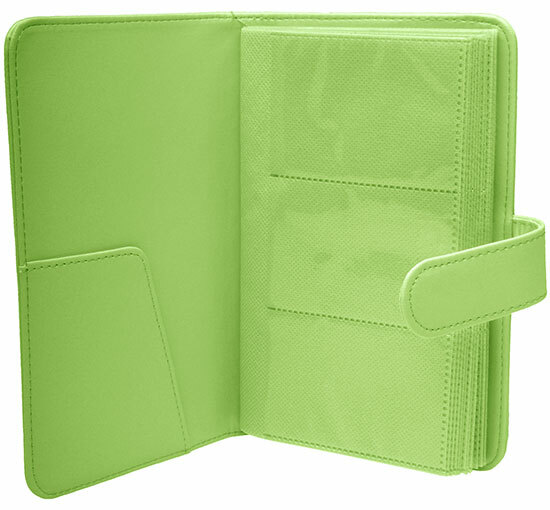 It is a poly synthetic leather album that holds up to 108 instax photos. Tab goes into loop in front to keep album closed. Small pocket inside top cover holds extra pictures. Clear sleeves for easy viewing and organization. It's obvious that the cleaner the lens, the sharper your pictures will be. 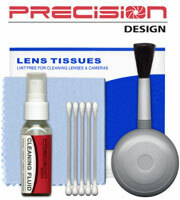 Dirt, dust, and fingerprints will degrade the image quality of even the finest optics. However, it's equally important to avoid using incorrect cleaning materials which can permanently damage your photo equipment. 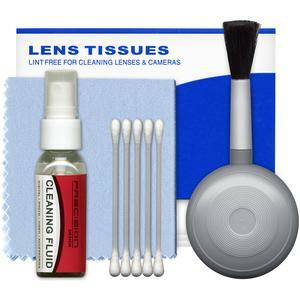 This 5-piece cleaning kit contains everything you'll ever need to properly clean your lenses, including a bottle of cleaning solution, lens tissues, cotton swabs, a blower brush, and a microfiber cloth. 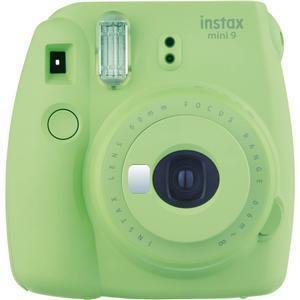 Instant Film: Fujifilm Instant Color Film "instax mini"